Burbank, CA – The Martial Arts History Museum prepares to launch its biggest campaign in its history entitled “Impact Our Future!” Celebrating its 17th anniversary, the museum is experiencing growing pains. 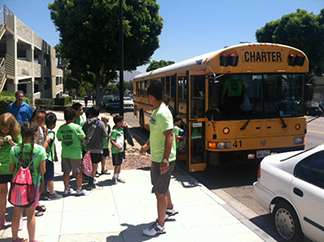 As a result, their current facility is not big enough to handle the many requests it receives for school tours. The museum is looking to raise at least $2 million dollars to purchase a much larger facility to can accommodate the tours as well as include a theater. Located in Burbank for the last five years prior to its move from Santa Clarita, this the first and only museum dedicated to the martial arts in the world. It is not a who's who, but rather, an educational facility teaching young people about art, history, music, culture and tradition and its connection with the martial arts. The museum features an historical presentation of China, Japan, Korea, Thailand, Hawaii, the :Philippines and America as well as sections on martial arts in anime and martial arts in film. Designed by the artists of Disney, Dreamworks, the Simpsons and Halloween designers, it is a fun place for kids to enjoy learning about different cultures and unique forms of artistry. The museum provides a bridge of understanding of diversity and breaks down racism and prejudice. It is a place that reveals how Asian history became part of American history. “The martial arts is more than the punch and kick, it played a significant role in Japan, China and more. It involves artistry, music and so much more. Our animation is based on martial arts, our films includes martial arts, I feel it is so important that we get inspired on how much we all have in common. The martial arts is practiced in Africa, Russia, Spain, Mexico and all over the world. It is that common denominator that brings us all together,” says museum president Michael Matsuda. For nearly two decades, the museum has brought new awareness to the arts and what it has to offer. 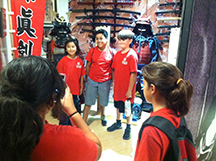 Schools are always looking for places to take the kids and the Martial Arts History Museum will be a welcome addition to those hundreds of requests. “We are launching the 'Impact Our Future' campaign to help us raise enough funds to purchase at least an 8,000 square foot facility. Beginning August 13, 2016 and lasting up until six months, we are asking everyone to be involved. We need another museum in Los Angeles. We need an additional place to take the kids and for visitors to learn about martial arts history. This is it, our only opportunity. Without a museum, all that wonderful history that so many sacrificed for, will be lost. Help us grow. Help us create a new place for our kids to visit,” says Matsuda. The Martial Arts History Museum is a fully registered Non-Profit 501(c)(3) organization and donations are tax-deductible. To join the “Impact Our Future” campaign, you can make a donation on their website at www.MAMuseum.com or send a check to Martial Arts History Museum, 2319 W. Magnolia Blvd., Burbank, CA 91506 or call (818) 478-1722.